My children were jovially playing on the playground equipment with the other children at the park, while I rested and watched, under a shade tree. We walked everywhere around the park yelling Lilly’s name. That’s when I see the pond and panic consumes me; my mind furiously races with worry, and terror overcomes me. I feel the bile rising inside my throat. I hear myself screaming, “Lilly, oh Lilly, dear God, no Lilly!” My racing heart begs for this to not be true. 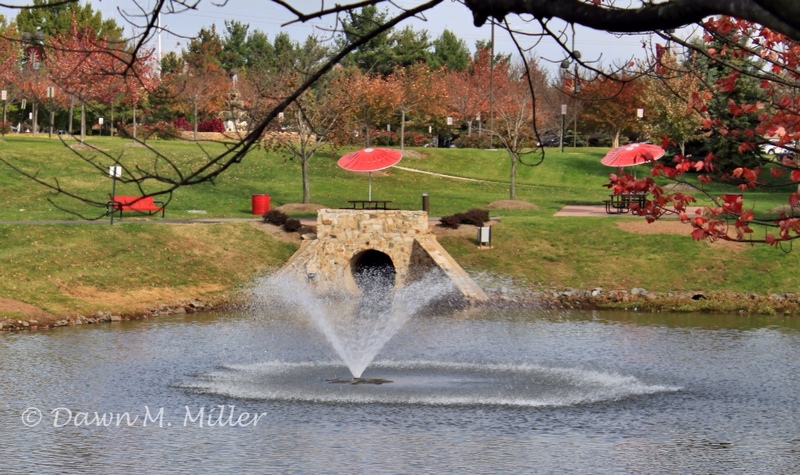 Thank you Dawn M. Miller for our prompt photo this week. Jodi, I haven’t received your post for today in my email. I don’t want you to think I’m ignoring it, I’m not. Thank you Yinglan! That is the reaction I was hoping for – “identification.” Thanks!! Haha! That is the reaction I was hoping for! Thank you Ameena!! I liked the way you described the panic that the mother was going through. Great story, I was relieved by the end. Won’t want to experience that. You describe that fear so well Joy. Excellent story. Thank you Michael. I was hoping to get into the physical and emotional aspects of that type of terror. I think you nailed it very well. Thank you! I am happy to hear that. You built the tension nicely. I was literally holding my breath. Thank God Lilly is safe! Thank you Nortina! I’m so happy to hear that!! Yay! (I can’t kill off little children). Haha! No, not at all. Thank you!! Yes, when what we think is true can be as bad as it really being true. Oh that fear is horrific!!!!! I know! Especially if you are a mother you can relate to that same type of fear. Really? You got lost at a park and had gone to the little girls room? Oh my gosh! That would be scary too! They thought you had fallen off the cliff? Terrifying! Great story, I really felt the mother’s panic. Thank you so much! I really appreciate your feedback because you write such wonderful flash fiction! 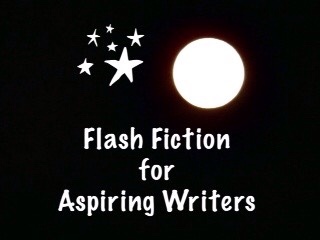 I hope you will continue writing flash fiction for FFfAW! You are really good at it! thank you Joy, I have written for SPF which is probably what your referring to and I will continue. No, I’m referring to the one I host, Flash Fiction for Aspiring Writers. I will try to write for that as well, I am still learning and I don’t really like what I write. I will keep trying..never know I may get the knack. That is what Flash Fiction for Aspiring Writers is for, those of us who are not professional writers or authors and we learn from each other. Besides, you write stories that are a WHOLE LOT better than mine! I’m struggling to learn too. I have discovered a book that is wonderful – it is a complete writing course (and it is easy) The book is called “Immediate Fiction” by Jerry Cleaver. It only cost $12 from Amazon.com. Great information! Fantastic I will read it, I am reading some others as well. I borrowed the one with the awful title ‘writing fiction for dummies’. It’s ok. I will definitely try your recommendation. It’s funny how I found out about this book. I was looking into another book about writing and one of the reviewers said it wasn’t that good of a writing book but they gave raving reviews on Immediate Fiction. So I looked that one up and liked what it said. I will buy it. I can’t wait to get started! I just remembered. In the last challenge post I sent out, there (at the very bottom) is some tips for writing flash fiction. They are great tips! thanks for the link, I’ll look at it today. I was afraid you were upset with me because of the nominations I gave out for the “Writing a Paragraph without an E.” I wanted very much to nominate you for that but I couldn’t find the URL for your blog which I needed in order to nominate you. I actually meant to leave at “wide open” nomination too, but I forgot. No, no, no not at all, how could I be upset with you, I worry more about publishing my writing than anything else. I needn’t to catch up with other things around the home so I took a break. Plus I am writing about my feelings to certain events in my past all the pent up emotions were released. It was cathartic and happier for it. I’m happy to hear that it isn’t something I did. I understand about the need to write things out. I had to do that for years when I was going through severe depression. Seems the only thing that helped was writing out my feelings. I think you are a lot better writer than you think you are. In fact, I thought your wrote more like you had authored a fiction novel. I’m serious! Joy you should be a motivational speaker, you are so positive. I’ll will try harder and read more to improve. thank you for the compliment. LOL! Thank you for the compliment! I was so relieved to read such a wonderful ending!!! Often times, that is not the case and you portrayed the lead up to it beautifully! It was full of emotion all the way to the end. Great job, Joy. Thank you so much Jessie! I’m glad you enjoyed it and really enjoyed the ending! (I don’t have the heart to kill or injure children in my stories). Phew! You had me scared for a moment there! I know that frantic feeling. I’ve been babysitting grand-nieces, and went on a trip to a local zoo. One was left behind (I think it was her idea) and I panicked just like the Mother in your story. So glad it had a happy ending — well done! Oh, that must have been very frightening! If you felt like the character in my story, I really feel badly for you. I assume it all turned out okay in the end. What a great capture of true to life feelings! A good sense of panic and a nice happy ending. So frightening to lose them even for a second!